There are multiple ways of maneuvering around San Francisco, whether you are attending WWDC or just in town to take in the air. Here’s a summary of some things that were not immediately obvious to me. Updated: added info on Clipper. In stark contrast to most other US cities San Francisco actually does have a reasonably working and convenient network of public transportation. The locals are referring to areas of San Francisco by the neighborhood names. The most important region for us iOS developers is the area south of Market Street, incidentally called “South of Market Street” or SOMA. The Moscone Center is in there, relatively close to the main traffic vein Market Street. 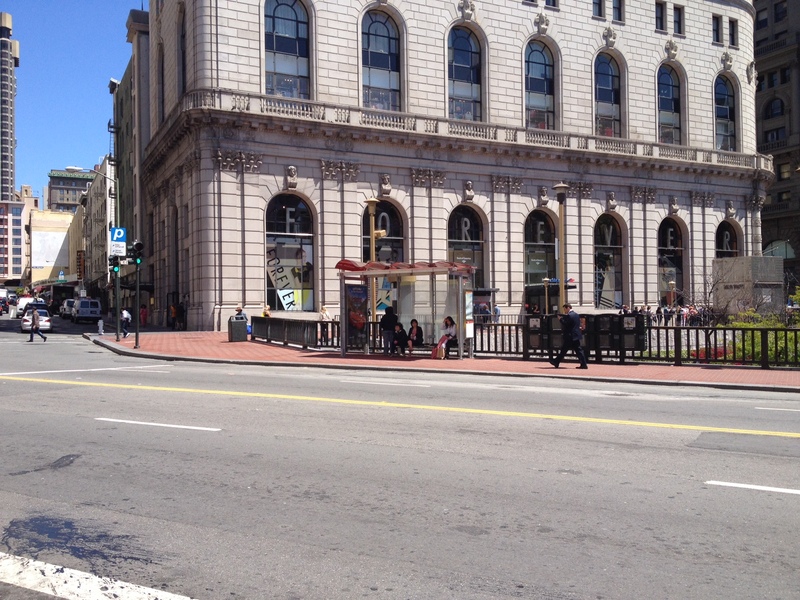 All of the hotels I’ve ever lodged in are north of Market, in Civic Center or the Financial District. These are the areas where you can get buy without entirely on foot and without ever using any kind of transportation aside of having ridden the BART from/to the airport. Here is a wonderful guide to what kinds of people to expect to meet in the various neighborhoods. Google Maps has all the public transport timetables. So the easiest way to get from A to B is to hop in your maps.app or online on Google Maps locate your current position and plan a public transport route to where you need to go. It even shows you the amount that the fare will be. For the fare you should keep a stack of single dollar bills handy. A ride on the bus typically is $2 which you shove into a box next to the driver who will hand you a paper ticket in return. You need to enter the exact amount, no change given. So if you won’t want to be in the position of embarrassingly asking around if somebody could break a $5 bill, then you better be ready. The trams and busses are supplemented with something they call subway, even though it is not subterranean as far I could tell. One thing that might be difficult is to find if a line you are supposed to change to is in fact downstairs. There is an alternative to cash … tip courtesy of Nathan de Vries. You can buy a Clipper Card at Walgreens. This appears to be a card to put a balance on and then fares are subtracted from this whenever you “tag your card” i.e. swipe it over a reader in the vehicle of your choice. This card also seems to be a replacement for the crappy card you get from the dispenser for BART and you can re-use it the next time you are in San Francisco. So I’ll probably get one, this tip is the first time I heard about it. Generally whenever you pay or tap the Clipper card this is good for 2 hours. Therefore you don’t need to pay on every vehicle you get. You still tap your Clipper card every time so that a beep will tell the driver that you paid up. But you will not get charged for that. 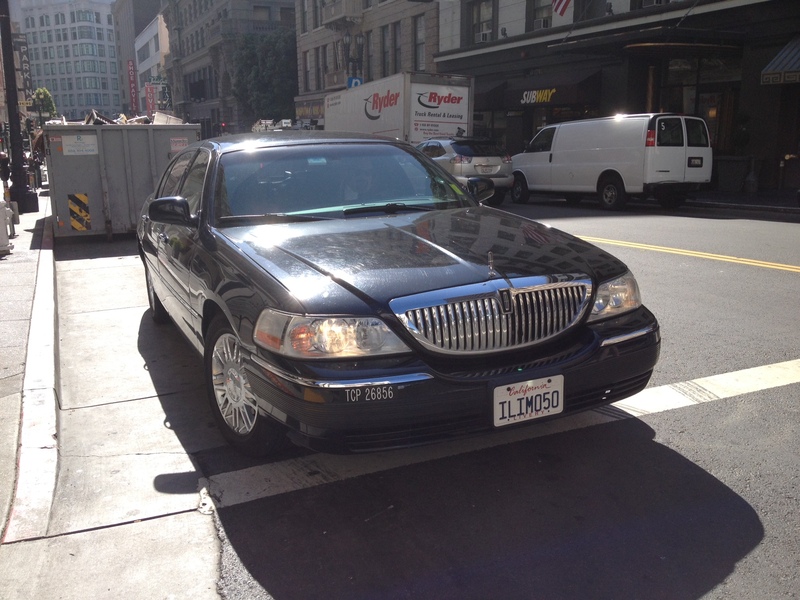 SF Cab drivers are known to complain about you paying by credit card, are grumpy all the time and often you cannot even be sure that they’ll come and pick you up. Or so I’ve heard. At first I was sticking to the feet, then I climbed level 2 and used some busses and a tram to get to Fisherman’s Wharf. Level 3 is to get your own personal limousine. The name of this company and it’s service derives from the German word Über, but since Americans cannot pronounciate the Ü they went with U and think they are funny using this creation. Having said that, “Uber-” is used to describe something that is totally over the top (much better) than the same thing without this prefix. This service is one of many examples where a local tech company has taken on something that is not really working to the user’s advantage (Taxis in SF) and made it into a web- and app-based service that aims to disrupt the incumbent industry. It was highly recommended by my friends at Stackmob and when somebody I follow on Twitter was also mentioning it I figured I have to try it out. So you sign up on their website, register a credit card and download the iPhone app. The cool thing is that if you use my promo link then you get $10 off the first ride and I get $10 credit as well. You should get this setup down in advance on the Hotel WiFi so that you are ready to go when you need a pickup. You specify the pickup location and a delightfully cute icon of a man with suitcase and raised hand marks the spot. For a couple of seconds you have to wait for a driver to accept your hail and once you did, you will see the car driving towards you on the map. I couldn’t believe it at first when I saw the car that was coming to pick me up, driven by Joseph who was wearing a suit. An actual limousine?! And a bit of LOL’ing at the license plate. My driver, Joseph his actual name, explained to me that he’s been driving limousines for many years now, but since Uber started he almost exclusively drives rides he’s getting from their service. And there are many other advantages: with the registered credit card you don’t have to worry about money at all, no chance for a robber. Joseph’s limo has leather seats, water bottles if you are thirsty and also loves Uber. 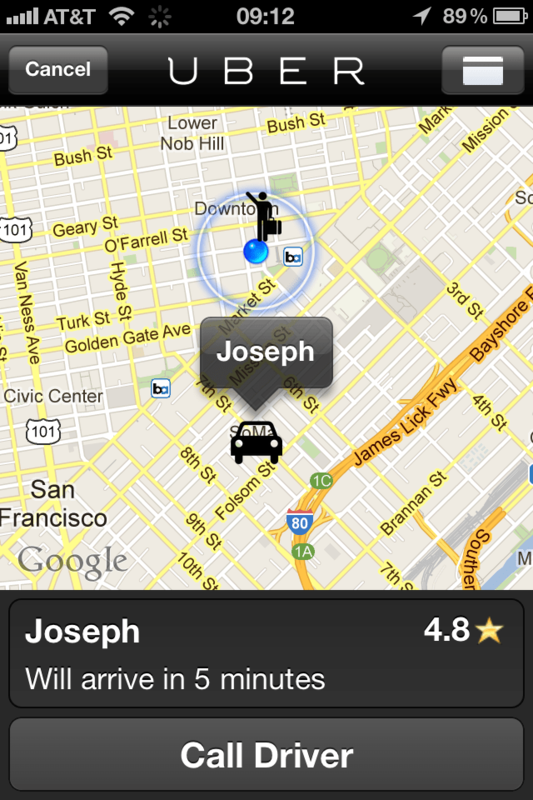 He’s also the one who told me about Taxis in San Francisco, see above. Uber is said to be about 50% more expensive than taking a Taxi and the digital payment already includes the tip. You can fit up to 4 people into such a car, but I wouldn’t recommend it, it would totally spoil the feeling of luxury. 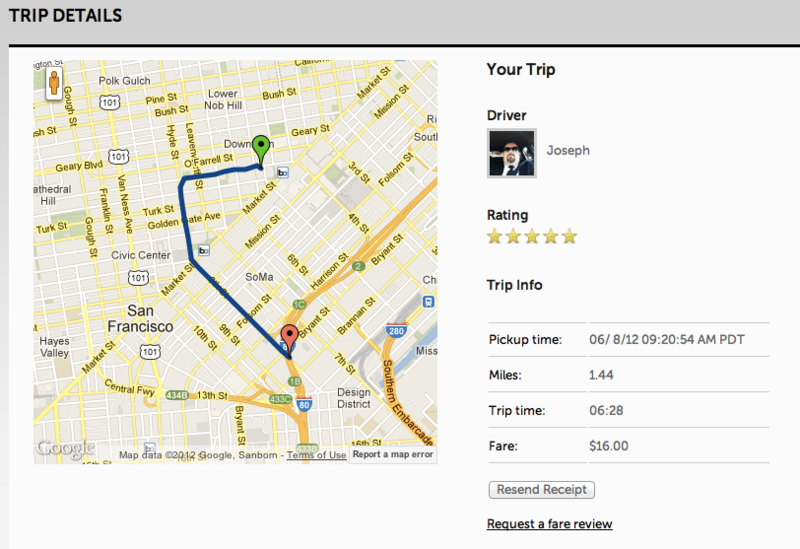 My ride came to $16 in total, $10 of which I was discounted because I had registered by promo code. They also keep a track of the route and email you a receipt. This in itself makes my geek hart jump with joy. The trip I took was from my Hotel to the Stackmob Offices and it was a blast. I’ll definitely use this service again. It costs 8 times as much as taking the bus but the experience is worth it.